Are you looking for a list of different kinds of berries? This article will provide just that. Berries are far more than just the berries you know - strawberries or blueberries, for example. Making a list of different kinds of berries can include any berry that meets the botanical definition of the term, as well as fruits that are commonly referred to as berries which don't meet the classification. The botanical definition of a berry is any fruit that is produced from a single ovary. This group includes some fruits that are traditionally thought of as berries, and many other fleshy fruits. Surprisingly, blueberries and cranberries, commonly known berries, are actually something classified botanically as "false berries". This is because the fruit is formed not only from the ovary, but also from other parts of the flower. Strawberries and raspberries also don't actually meet the botanical classification of a berry either, because they are formed from other parts of the flowers. As such, these "berries" fall into other classifications like drupes and aggregate fruits. Keeping the above definitions in mind, the following lists classify berries that meet the botanical definition, as well as other types of foods we refer to as berries. Unless indicated otherwise, all of the berries and fruits in the list of different kinds of berries are edible. True berries are fruits that meet the true, botanical classification of the word "berry". A number of this type of fruit are called a berry while not meeting the botanical definition. Elderberry - while elderberrys can be bluish red, red or blackberries with cream colored flowers. Only the bright red elderberries are poisonous. The purple elderberries are used medicinally and in food products. The roots, stems and leaves of the elderberries, are used medicinally and must be used correctly, so please use caution. Actea Pachypoda - also known as doll's eyes because their appearance is similar to a doll's eye. The white berries have a black dot in them. The plant has white flowers. As you can see, there are a number of types of berries - both true berries and those fruits that are commonly thought of as berries, but aren't. 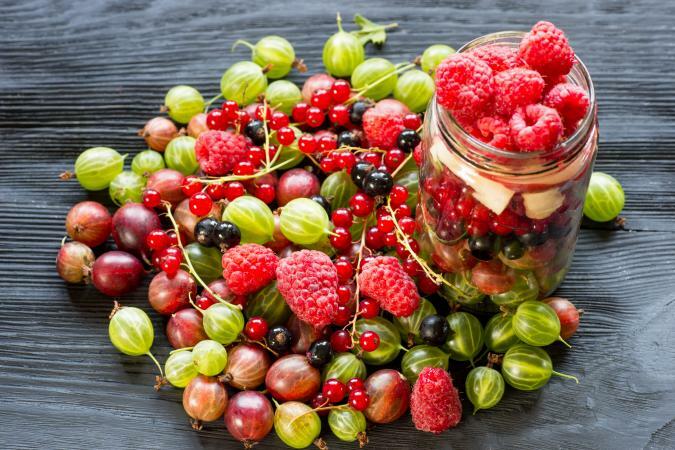 With the exception of the poisonous fruits listed above, berries can be a healthy and delicious part of your diet.